At the House of Balance we understand the challenges on organisations to move at a faster pace than ever often with increasing demands and too few resources. We believe the effects of good coaching helps organisations evolve and stay ahead of the game through developing a culture of trust that releases creativity and energy to transform results. Over the last ten years coaching within many organisations has become integrated in learning and development programmes focusing on employees having task oriented goals to better themselves. However, our corporate coaching experts recognise the growing shift towards a holistic approach to coaching that looks at the organisation as a whole, its strategic objectives and long-term goals, to create a coaching framework that empowers and motivates employees and teams and aligns their behaviours, actions and goals with the long-term ambitions of the organisation. Our team of experienced coaches have a proven track record in coaching organisations to achieve a shared vision and goal, plan the right approach to achieving these ambitions and delivering a tailored coaching programme with measurable outcomes to drive sustainable change and performance. The House of Balance adopts a three-phase approach to help organisations develop a holistic coaching model that is tailored, flexible and practical and a true catalyst for positive change. We help you embed a Coaching Culture aligned with your strategic and long-term goals. We collaborate with you to build a sustainable Coaching Framework that meets the demands of a rapidly evolving world. We align and implement a Coaching Programme focused on the needs of your leaders, teams and talent to drive your organisation forward. What does a Coaching Culture look and feel like? Is your organisation ready to invest in a coaching culture to transform performance and results? Do you have concerns that your leaders, teams and employees are not all pulling in the same direction to achieve growth? Is coaching happening in your organisation but not seeing the results to move forward? A successful coaching culture has moved away from driving performance with commands and controls to creating an environment that is collaborative, innovative and inspiring. It is mindful of the competing demands and stresses of everyday life and fosters empathy, health and well-being. It allows an organisation to inspire and encourage its employees to adopt new mindsets, remove roadblocks to progression and make positive change happen. 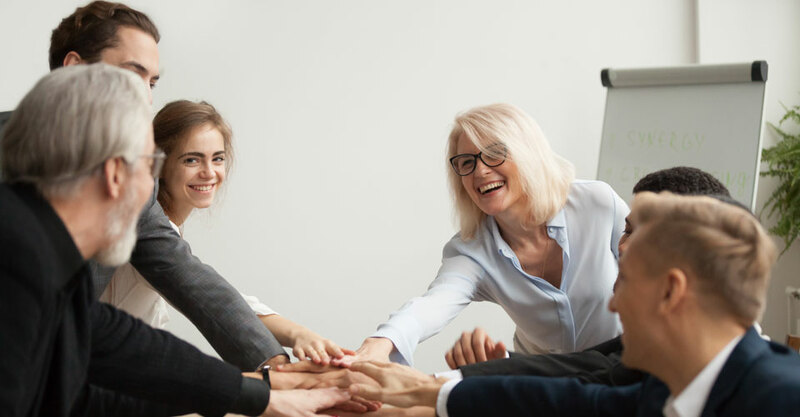 Our corporate coaching team will work with your organisation to create an environment of mutual respect where teams and employees are able to think creatively to solve problems and have the confidence to make decisions. It means leaders are free to focus on growing the organisation to meet long-term strategic and personal goals. How a Coaching Framework improves my Organisation? Do your employees effectively prioritise and delegate the right tasks to the right people at the right time to achieve a good work-life balance? Are there teams or individuals in your organisation suffering from low morale and poor performance? Would you like your organisation to find more time for creativity and innovation? The uncertainties in today’s fast paced world – government regulations, multi-generational workforce and new technologies – have an impact on employee engagement and productivity. By developing a coaching framework it calls time on the busy life of doing and allows an organisation to reset and start to think about what they are doing and why. It allows behaviours to be discussed, clarity to emerge and practices implemented to create the positive environment required to drive performance. The House of Balance will work with your organisation to help you define what coaching means to you and why it is critical to your success. Together we will build a sustainable coaching framework that aligns employee and organisational ambitions through understanding where your organisation is now, wants to be and how to get there. Create confident, capable and inspiring leaders. Emower employees in an engaged and productive way. It means your organisation can continually evolve and adapt to the rapidly changing world around us. What is the impact of a successful Corporate Coaching Programme? Is your organisation stuck in a cycle of expensive education and training programmes? Do you need to bridge a workplace generation gap in your organisation? Does a different kind of conversation need to happen in your organisation to encourage employees to think differently? A good coaching programme integrates learning and development, digital technology and psychology to empower teams and individuals to remove roadblocks and find clarity and direction. It closes the gap between younger employees and experienced executives and leaders by encouraging creativity, shared learning and a different kind of conversation to drive positive change collectively throughout your organisation. Our coaching programme focuses on the development of curious, resilient and healthier minds to change beliefs and behaviours that will drive your organisation forward. It is scalable and structured to support your organisation, its leaders, teams and talent. An organisation is only as successful as its leaders. Our team of expert coaches have successfully coached C-suite executives and new and emerging leaders through our Leadership programme. By asking these questions the team is empowered to recognise their own strengths, the barriers to their success and unleash creativity and energy to pursue new ideas and alternative solutions with confidence and resilience. At House of Balance we recognise that your people are the most important asset in achieving organisational goals. Our Executive Coaching programme is aimed at future potential and emerging leaders. The aim of this programme is give individuals the ability and confidence to break down barriers, remove limiting beliefs and reach their full potential. The most successful organisations have genuine gender equality at senior levels. They have inclusivity and diversity at the very core of their strategy. At House of Balance our experience tells us that whilst there has been increased investment in recent years in diversity initiatives and training programmes to develop female talent, organisations are disappointed with the speed or progress they have made. Our coaching programme for women in business addresses the three critical areas for success to create real change. We have developed a successful coaching programme that supports the career progression and ambition of female talent. We strongly believe in creating a safe, supportive environment that enables women to address the unique issues they face. From our experience this approach has provided renewed energy and focus to achieve clarity on how they achieve their professional and personal goals. We have advised organisations to recognise the value in gender equal leadership and supported them to attract, retain and develop their female talent alongside developing organisational practices that enables the advancement of women. The result has led to creative excellence, greater emotional intelligence, improvement in team performance, increased profits and has most importantly set a blueprint for the next generation of female leaders. An organisation is healthy when its employees from top to bottom are happy, healthy, empowered and motivated. But the increasing demands on daily life can lead to unhealthy habits, stress, and exhaustion. Our Corporate Wellness Coaching programme provides a platform to transform mind-sets and encourage behavioural change. It is based on a strong sense of trust and mutual respect to build a rapport that is genuine, supportive and has positive energy. Our process is our own – created, tested, refined and used with extraordinary success. Our approach is distinct with measurable outcomes. We go beyond simply training and teaching: we provide continuous learning. We like to think we are the most innovative coaching organisation in Australia.